Christmas season the year of 2009 is where it all began. Using the family recipe. With each passing year the demand grew and grew. In just a few short years it's grown into it's own building, using a commercial maker and staffing employees. Even though a lot has changed over the last 7 years many things remain the same. Our product is still made in small batches to ensure each kernel is coated just right. It goes through a tedious process to eliminate as many kernel shells as possible and our product wont stick to your teeth. An average of 200 lbs of this deliciousness is made every day. Don't delay try some today! Tins & Gift baskets available at our Dover location during the holiday season! - If your a business and are interested in carrying our product please email us at Info@millerscreamery.com for wholesale pricing. What's Miller's all about? 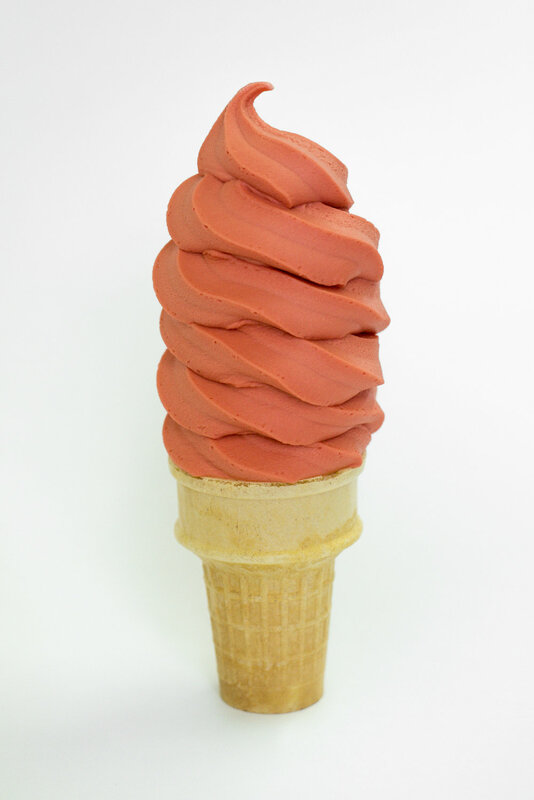 We're known for our made from scratch soft serve sherbet. Each week we offer one of our 16 flavors. This deliciousness is available all by itself or twisted with our very own creamery soft serve vanilla ice cream. Either way, you won't be disappointed! Lime, Lemon, Orange, Blue Moon, Mango, Pineapple, Banana, Peach, Grape, Watermelon, Strawberry, Pomegranate, Red Raspberry, Wild Cherry, Blueberry, Black Raspberry, Orange Pineapple, Black Cherry & Blueberry Cheesecake. Each year on our Anniversary in July we add a new and exciting flavor! Dover Sherbet flavor of the week! New Phila Sherbet flavor of the week! Here is a list of the following locations you can find our quarts of homemade sherbet. Real cheesecake bites & strawberry sauce wedged between two layers of our very own creamery soft serve vanilla ice cream. Topped with more cheesecake bites & strawberry sauce. Mini chocolate caramel filled turtles, fudge, pecans & caramel wedged between two layers of our very own creamery soft serve vanilla ice cream. Topped with turtles, fudge, pecans & caramel. Chocolate covered pretzels, fudge & homemade peanut butter sauce wedged between two layers of our very own creamery vanilla soft serve. Topped with chocolate covered pretzels, fudge & peanut butter. Crushed dark chocolate covered coffee beans, fudge & espresso powder wedged between a layer of our very own creamery vanilla & chocolate soft serve. Topped with crushed dark chocolate covered coffee beans, fudge & espresso powder. Crushed oreo's & fudge layered between our creamery chocolate & vanilla soft serve ice cream. Topped with more crushed oreo's & fudge. We stock all of our cakes in our freezer section at our Dover location. Make sure you get your favorite cake? Stop by or call 330-364-4999 to place your order. A layer of our creamery soft serve, a middle layer of fudge & our signature crunch, topped with a layer of our very own vanilla soft serve surrounded with sliced hoho's. This one is a favorite for many! Fudge & our signature crunch layer between chocolate & vanilla soft serve ice cream. Topped with a decorative edible imagine. Mini buckeye's, fudge & homemade peanut butter, wedged between layers of our very own vanilla soft serve topped with mini buckeye's, fudge & homemade peanut butter. Chocolate Chip Cookie Dough, Coconut Avalanche, Chocolate Peanut Butter Cup, Buckeye Blitz, Deluxe Chocolate, Mint Chocolate Chip, Lake Erie Salt Mine, Turtles -N- Mudd, Black Raspberry, Raspberry Chip Cheesecake, Cotton Candy, Butter Pecan, Black Cherry, Vanilla Bean, Cappuccino Chip, No sugar added flavor, one yogurt flavor & one NON-DAIRY flavor. Seasonal flavors include, Pumpkin, Apple Pie, Lemon Chill, PB & J, Black Walnut & Peppermint. Coffee Espresso Latte 16 oz. Frozen Hot Chocolate 16 oz. Want to set your wedding or event apart from the rest? 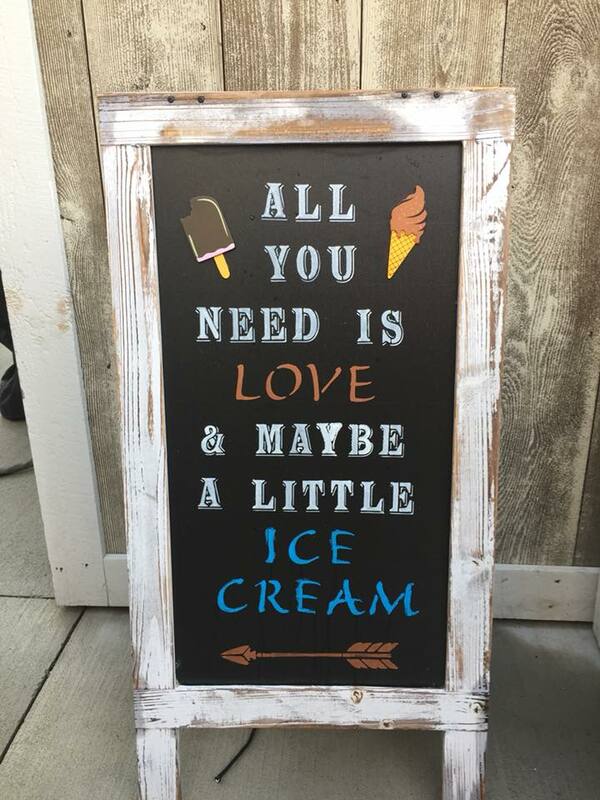 May we suggest Ice Cream! This allows your guests to enjoy and create exactly what they want! No more boring wedding cake and all for less then the cost of most wedding cakes. 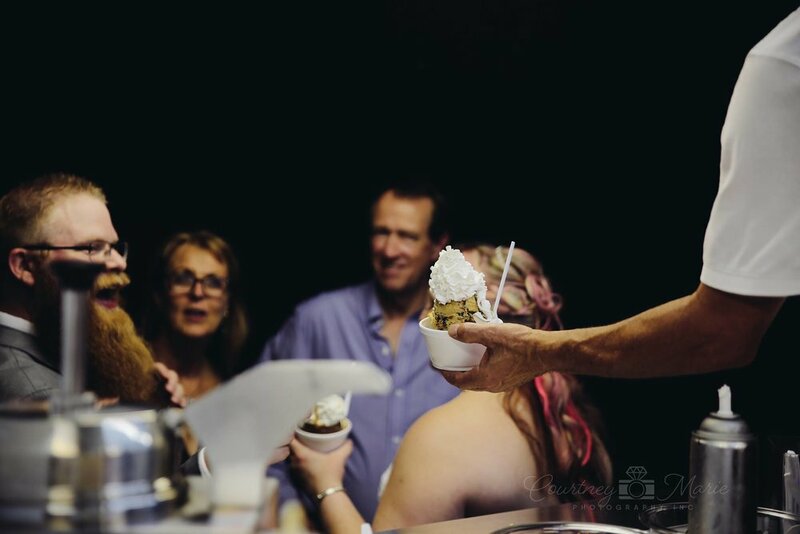 From hand dip ice cream to our creamery soft serve & sundaes we're sure to have something to please every taste bud. 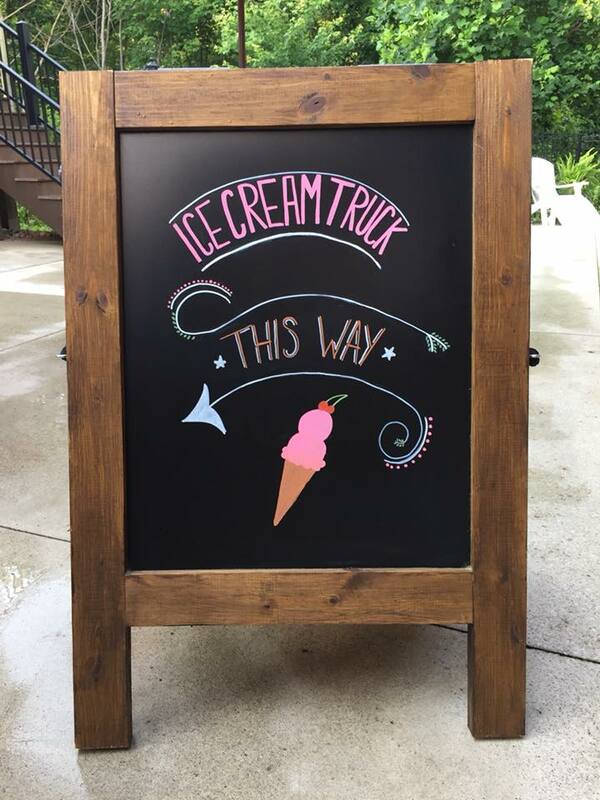 - Choose our creamery chocolate & vanilla soft serve or one of our 18 homemade sherbet flavors. - Sundaes, strawberry, hot fudge, chocolate, caramel & our homemade peanut butter topping. Crushed nuts, pecans, sprinkles & whipped cream. * Click on our contract below for pricing and details. Call Gladys at 330-204-6929 for bookings or questions! In 2014, Miller's Creamery felt honored to be picked for an interview on the New Day Cleveland Road Trip. It has definitely promoted our company and what we do. We would like to thank the Welcome Center in New Philadelphia for selecting us as one of New Day Cleveland Road Trip's stop as they made their way through Dover and New Philadelphia. The 17th Annual Chocolate Lovers A'fair was held at the Buckeye career center in New Philadelphia. Each year, there are twenty-two local businesses that are invited to come and set up for a 3 hour "Chocolate Lover's A'fair" and provide a sample of a dessert (which must contain at least some chocolate). All the proceeds of this event go to benefit the Union Hospital Auxiliary. Miller's Creamery won People's choice award with our Cherry cordial brownie truffle. Sugerfuse of Dover won judges choice. Another great event! Our New phila location, open April - first week of October. For several years, Norman Miller had a desire in his heart and a simple idea in the back of his mind. He had been working for another company for over eleven years, yet he felt that he wanted to start up “a little something for his family to do on the side,” as he puts it. What was that idea? To open up an ice cream stand. In the winter of 2002, after much prayerful consideration, and together with the loving support of his wife, Gladys, and their four children, that ice cream stand became a reality. The first step toward that dream was to purchase an old trailer. After cutting off an entire section of that trailer and completely gutting it, Norman began the tedious work of remodeling. He then leased a piece of property right down the road from the Harry Clever Field Airport in New Philadelphia, Ohio. New Philly Creamery was the name, and its doors were first opened in July of 2003. Norman’s wife and children all worked together to run the business during that first season which stretched from July through October. With much anticipation and excitement, the New Philly Creamery re-opened for its first full season in April of 2004. The creamery took off with a success that continued to grow all throughout the summer and right on until the first days of winter. It was a great year and Norman and Gladys were always careful to give God the glory for all that had been accomplished in such a short time. 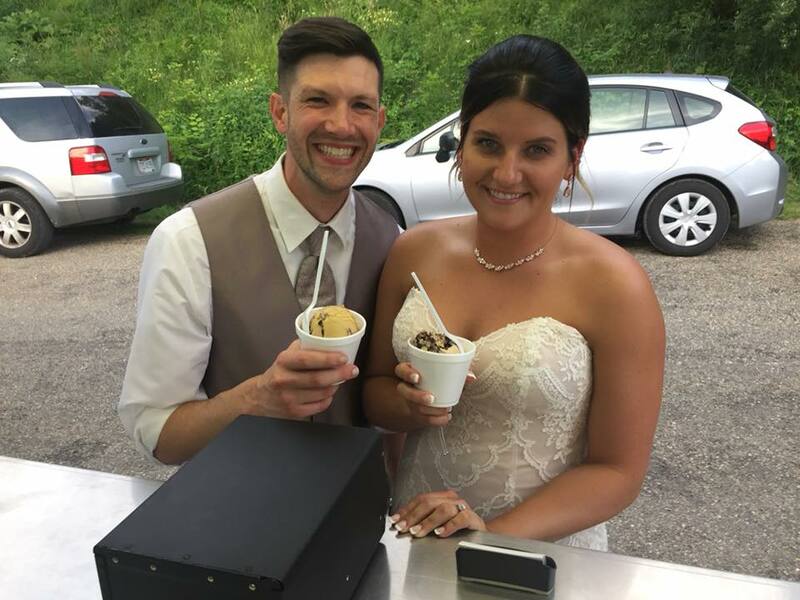 Before re-opening for their third consecutive season in the spring of 2005, Norman decided that, because of how quickly the business was growing, he needed to quit his full time job to dedicate more time to the creamery. It also became necessary to hire more than ten employees due to that increasingly busy season. Two years later, in the winter of 2007, the Millers were asked to open another creamery in Gnadenhutten, Ohio. 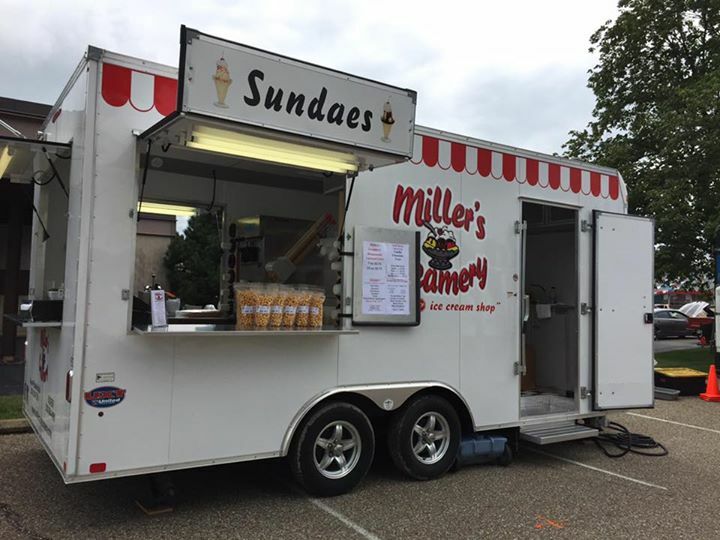 Once again, after taking time in prayer, they took on that challenge, invested in more equipment, and within one month’s time, the Miller’s Creamery, as they named it, was opened. Home-made sherbert, one of the many Miller’s Creamery specialties, began to be in a greater demand and, consequently, they became the suppliers for various stores in the area such as Buehler’s Grocery Stores (New Philadelphia and Dover) and many other stores in the area. The Creamery produced a growing number of individual sherbert flavors and packaged them in quart containers. In the fall of 2008, a decision was made to relocate the Creamery in Gnadenhutten in order to concentrate and multiply their efforts closer to home. As result of that decision, a second location was soon opened in New Philadelphia. This would later become our Distribution center where all our products are made and shipped from. In 2014 an opportunity arouse for a third location to be opened in downtown Dover, Ohio. After months of renovations the doors opened for business on May 29, 2015. 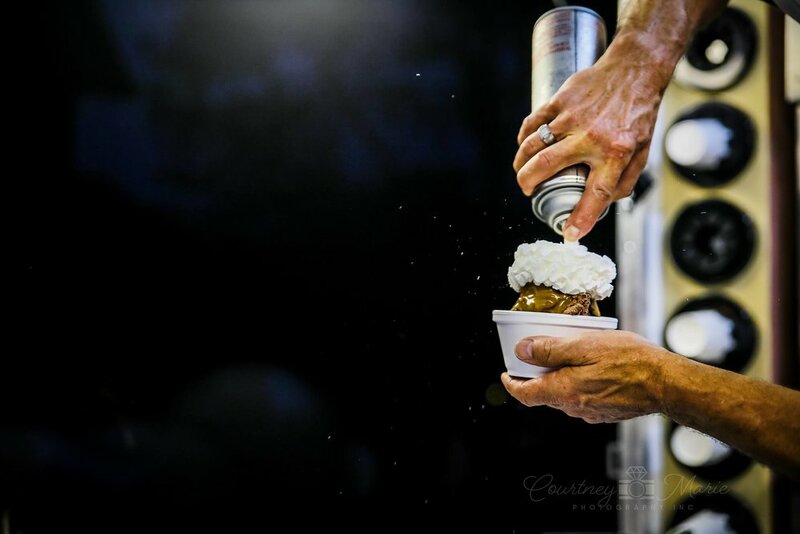 What set this location apart was its dine in option, for the first time ever we could now offer our delicious ice cream and food all year long. We love being apart of downtown Dover and all our customers have made this location a great success. (Include all if more than one attended) No. of years attended? Did you graduate? Any other times or days during the week or weekends when you wouldn’t be able to work? I certify that all of the statements made by me on this application for employment are true, correct, and complete to the best of my knowledge. I understand that false statements on this application may be cause for dismissal without notice. I agree that all former employers may furnish Miller’s Creamery with information regarding record of my service. In order to be qualified for employment at Miller’s Creamery, all persons seeking employment may be required to pass a pre- employment physical/assessment, which will include a drug/alcohol screen. My employment is at the will of Miller’s Creamery, and Miller’s may terminate my employment at any time, with or without cause, and with or without notice. Last day for our seasonal New Phila location is Saturday October 6th, 2018.